Ned Dominick was the first home inspector in Middle Georgia beginning in 1978. He received a B.A. at the University of the Pacific and has done additional study at Mercer University, Georgia Tech, UGA and the University of the Nations. He holds numerous construction related certifications including full membership in the American Society of Home Inspectors. Ned is the only FHA fee Inspector in Middle Georgia. Prior to opening National Home Inspections Ned restored Historic properties in Macon’s Intown Victorian Historic District. He saw a need for someone to evaluate properties for home buyers particularly as the prices for homes skyrocketed. To satisfy this need he established National Home Inspections. 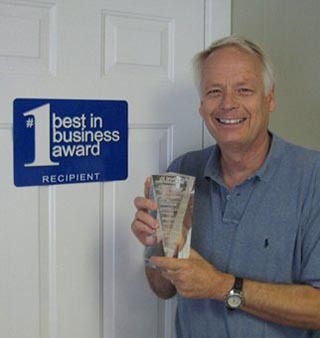 Since that time Ned Dominick has become recognized as an authority on residential construction in Middle Georgia. He frequently is retained as an expert witness in construction litigation. He also is a frequent lecturer in home buyer seminars. In addition he authors articles on homes in various publications. As National Home Inspections has grown Ned Dominick has added other inspectors to join him. Each of these have had a long background in construction related fields. In addition Ned has personally trained each of them for months before allowing them to perform inspections under the Company name. In the event that one of our clients wishes to accompany the inspector they are welcome to do so. Don’t forget to wear your dirty clothes! We provide home inspections in Middle Georgia including Macon, Warner Robins, Forsyth, Fort Valley, Perry and Milledgeville, Bibb County, Houston County, Peach County, Monroe County, Jones County, Byron, Twiggs County, Crawford County, Baldwin County, Laurens County, Putnam County, Dodge County, Jasper County, Eastman, Dublin, McDonough, Roberta, Henry County, Lake Sinclair, Eatonton, Thomaston, Lizella, Hawkinsville, Gray, Sandersville, Americus, Marshallville, Monticello, Montezuma, Juliette, Bolingbroke, Haddock, Jeffersonville, Jackson and Pulaski County,McDonough, Vidalia, Cordele, Vienna, Unidilla,Jeffersonville, Gray, Fort Valley, Bonaire, Kathleen and Centerville.